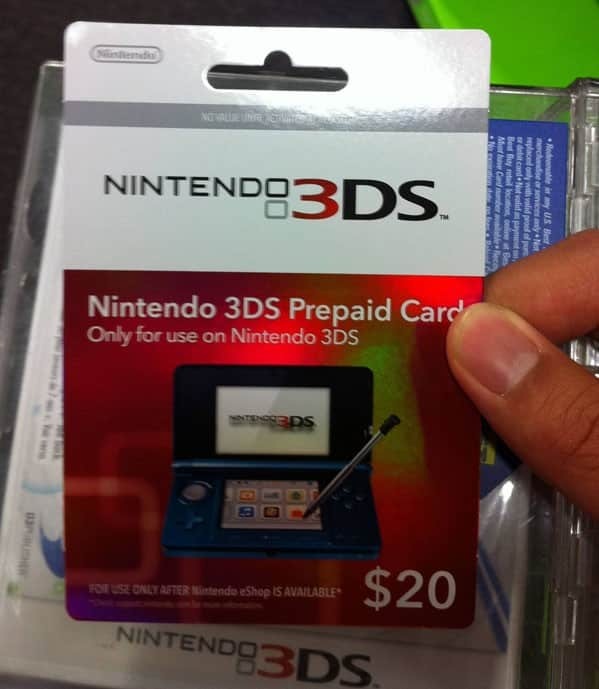 Earlier today, a Reddit user posted what would seem to be a legitimate snap of a prepaid card purely for use on the upcoming Nintendo 3DS eShop. Such a card was discovered at a Best Buy in California and Joystiq, having contacted the store to check, were told that only $20 denominations are currently stocked and listed within the store’s inventory. A Best Buy stores in Connecticut also confirmed the existence of the cards, whereas two in West Virginia and Oklahoma had no knowledge of them. So, they certainly seem to be on the way, but I’m sure Nintendo will clarify the situation nearer the date in which the eShop update goes live. We’ll treat it as a rumour until the big N confirm their plans.